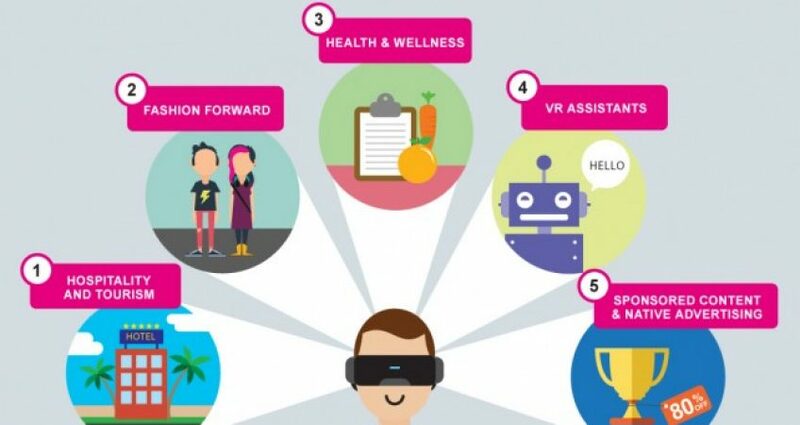 Virtual Reality: What is the Next Step in Interacting with Consumers? You want to know what the view from the Eiffel Tower is really like? Interested in the latest fashion? You don’t know how to match different ingredients and are indecisive in choosing your meals? You would like to take a peak at the hotel room before your trip? Creative team of Ketchum, one of the leading global consultancies in the field of communications, has researched the limitless possibilities of virtual reality (VR) and found answers to these questions. Just as mobile technologies reshaped the way we interact with consumers and other influencers, so will the virtual reality. “We are at a tipping point in the world of communications when it comes to brand promotion innovations. Thanks to virtual reality, we will not only be creating innovative content, but we will be shaping complete consumer experience. Virtual reality will not only change the way we build our relationships with consumers, but also the essence of how we design creative and high quality content” – said Vera Perović, Client Service Director of Olaf&McAteer, Ketchum’s partner in Serbia. When it comes to tourism, virtual reality could enable you to see places around the world that you are interested in, such as the magnificent waterfall in Maui, the latest attraction at Disney World, as well as splendour and grandeur of the Champs Elysées. And with social networks being as they are now, the virtual reality content will be massively shared. Planning your next vacation spot? The authentic experience of the hotel’s brand will begin before you even arrive there. Virtual reality will enable you to experience the exact layout of your hotel room before you even book it, and it could even allow you to make some personalised changes in the room. Virtual fashion runways will become spectacular events for fashion buffs. We’ve already experienced the power of live video stream, so the next step in the evolution of social media marketing will be experiencing events in real time. With virtual reality, fashion bloggers, influential people and brands will be able to get informed about the latest trends through a pair of headphones. Trends and trade that are becoming increasingly visual cannot be avoided, regardless of whether you are in a store or in the comfort of your own home. Changing habits when it comes to health and nutrition are a constant challenge. However, thanks to virtual reality, it will be easier in the future to make smart choices. For example, imagine you have a virtual interaction with the food on your menu and that you are receiving information on the nutritional value in real time and learning about the risks, treatments and prevention of diseases. With virtual reality, health and wellness services will become closer and more real to us. Virtual reality “assistants” will change the way consumers interact with brands on social networks such as Facebook. This assistance will help create an experience for users which includes more conversation and a more humane approach than is possible through regular transactions. As it becomes smarter, interaction via these virtual reality assistants between people and machines will become more personal and inevitably impossible to tell apart from an interaction between people. Inevitably, virtual reality worlds will be a mix of PESO communications (paid-earned-shared-owned media). Imagine you are exploring the hotel room we mentioned earlier, you are completely transported there, free to communicate with designated items and unlock hidden deals within your new experience. Hence, brands that put in “hidden details” in a game-like exploration can realise deeper connections with customers by offering them incentives and a chance to unlock a deal or discounts within their branded virtual worlds.